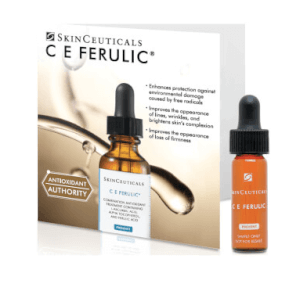 Formulated with 10% L-ascorbic acid, this antioxidant treatment helps protect against damaging UVA/UVB rays, prevent premature signs of aging, and stimulate collagen production. Serum 10 is lightweight, fast-absorbing, and optimal for sensitive and acneic skin. A powerful antioxidant that reduces the appearance of fine lines and wrinkles, neutralizes free radicals, provides photoprotection, and stimulates collagen synthesis. Proven delivery of L-ascorbic acid to the skin in concentrations proven to be effective. Once absorbed, can’t be washed or rubbed off, remaining protective for up to four days—an excellent addition to sunscreens. Optimal for sensitive and acneic skin. Once in the morning after cleansing, apply 4-5 drops to a dry face, neck and chest. Follow with a moisturizer and sunblock. 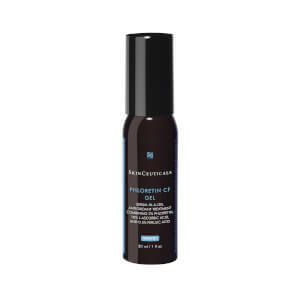 This product is new to me but Skinceuticals is not as I have many of their products and liked all of them so far except for this one.After applying this to my face later in the day it peel off if rubbed or if you have dry or flakey skin anyware and it will be yellow...you must also avoid the eyebrow area as it will also leave a yellow film there too. I won't purchase this particular product again. But I give it 3 stars trusting its doing its job besides the inconveinance of discolored skin. I love this product. I have sensitive/oily/acne-prone skin. I spend a lot of time in the sun, so I was looking to boost my sun protection. This does not make me break out, does not sting, and the unpleasant smell is slight and disappears quickly. I've only been using it for a few months, but my skin really does seem to be more "glowy" (not very scientific, sorry) and my freckles are fading. As an unexpected bonus, my normally very oily skin has been FAR less so since I've started using it. I recommend this product and La Roche-Posay Hydraphase UV SPF 30 (with mexoryl) for UV protection for people with sensitive skin. I've been using this for a couple of months along with phyto+ and physical sunblock 30 from this line and it's made my skin look brighter and a bit softer. I have slightly oily, sensitive, acneic skin with hyperpigmentation so I have to be careful or my skin gets inflamed or bust out into a pimple. But past couple of months my skin has been glowing and my family and friends have been telling me that it looks great. I'm not sure which one product is doing that but I use the following: MD Formulations Daily Skin Peel every other night (it really works for me, my skin is super soft), quintessence clarifying eye gel every other night ( I get white dots under my eyes but these don't do that), Jan Marini Bioglygolic cream every pm (it's cleared my occasional pimples to zero), Phyto+ every am & pm (freckles and dark spots are definitely lighter), Donnell Acne gel every am (Jan Marini feels too creamy for the day, so this gel is perfect), SkinCeuticals Serum 10x every am (to boost the spf), Dr. Brandt poreless moisturizer every am (my cheeks get a little dry), SkinCeuticals physical defense spf 30 every am. 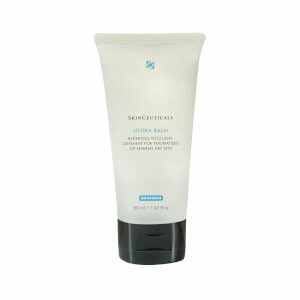 Lastly, the SkinCeuticals Clarifying Mask 3x a week. I used to use Astara Blue flame and that worked well as well but this seems to clear up my skin a little better. Whew! That's quite a lot but they all serve a purpose. i love this product been using it for a month and have switched to just using a really light foundation (usually just powder) because my skin looks really great... I'm 47!! I chose this antioxident because I have never used one until now and I didn't want to have a reaction. I think this is a good base to work up from. I have been using it for 2 months and can start to see a difference in the smoothness of my skin. It looks "happier" and I feel good about my skin too. I think the Skinceuticals line is also helping with my milia outbreaks. I read that they can be caused from too much "lotions and potions" and so this line has helped to clean out my pores and freshen up my skin. 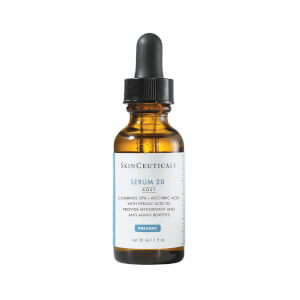 It is wonderful and I am thrilled to have chosen Skinceuticals. Best serum I've ever used.I've been using this for almost 3 months and my skin was so radiant and don't breakout anymore.I will just continue using this product and will try some of there other items!